The single volume Exposition of the Bible is G. Campbell Morgan's simple, yet enduring, exploration of the golden narrative that runs through the entire Bible. This product is also available as part of the Exposition of the Whole Bible + The Virgin Birth of Christ . The single volume Exposition of the Bible is G. Campbell Morgan's simple, yet enduring, exploration of the golden narrative that runs through the entire Bible. 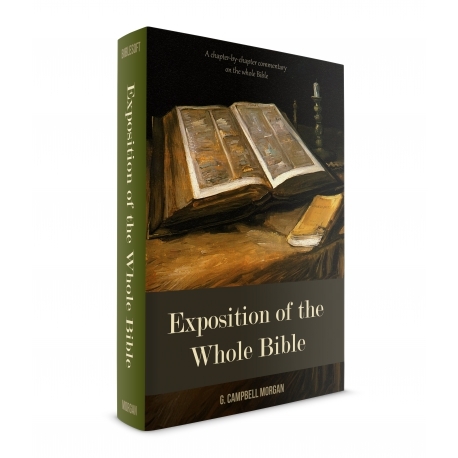 The work is well-recognized as a quick reference for chapter-by chapter exposition and thematic summary from the famous British pastor and Bible teacher who was friends with Spurgeon, Dwight L. Moody , Martin Lloyd-Jones , and other stalwarts of the late 19th and early 20th centuries. 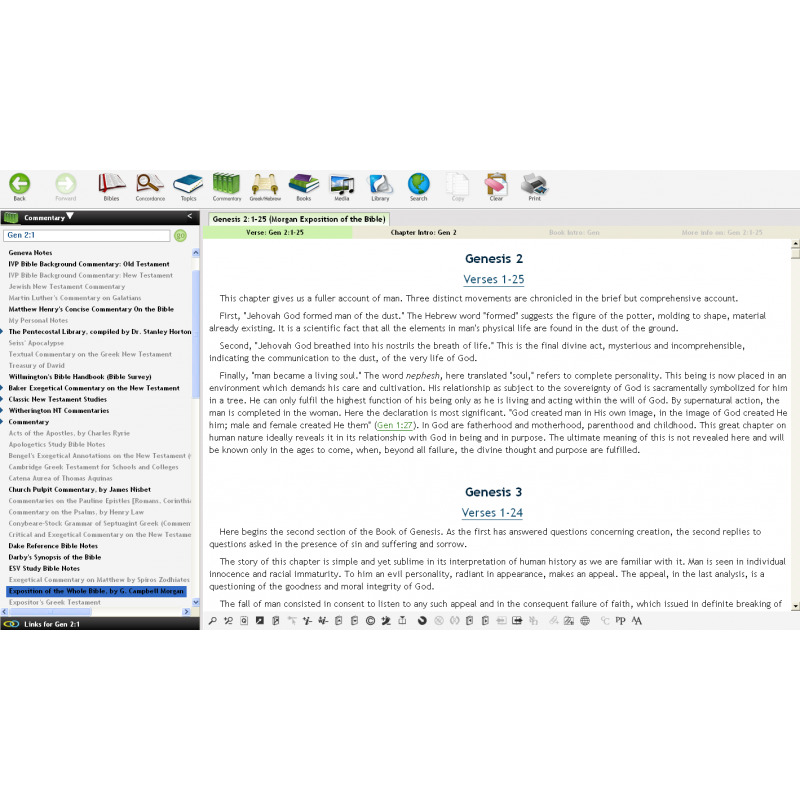 Many pastors and Bible teachers use the Exposition of the Bible as a reliable resource for a relatively easy-to-read summary of essential information on each chapter in the Bible. To the discerning, however, there is an even more valuable treasure in Morgan's work. Though often brief, the chapter expositions show each chapter’s relationship to the Bible’s “golden thread” which runs from Genesis to Revelation. Morgan tied his preaching and teaching to what he discovered to be the essential single narrative of the Bible story. It was that organic whole which Morgan found the most compelling evidence for the Bible’s divine origin. ( Morgan was one of the original contributors to the original “Fundamentals” articles that countered the tide of liberal criticism in the early 20th century). The preface states that this commentary "Binds together the central thoughts of all the chapters." Morgan originally published these studies separately and entitled them “Highways.” The title implies the context of a road map, with a large single path and many smaller roads branching off. An additional benefit to reading Morgan’s expositions is that they often contain the distilled essence of the immensely popular “Friday night Bible School,” which he conducted over the years at Westminster Chapel in London. Thousands attended each week. 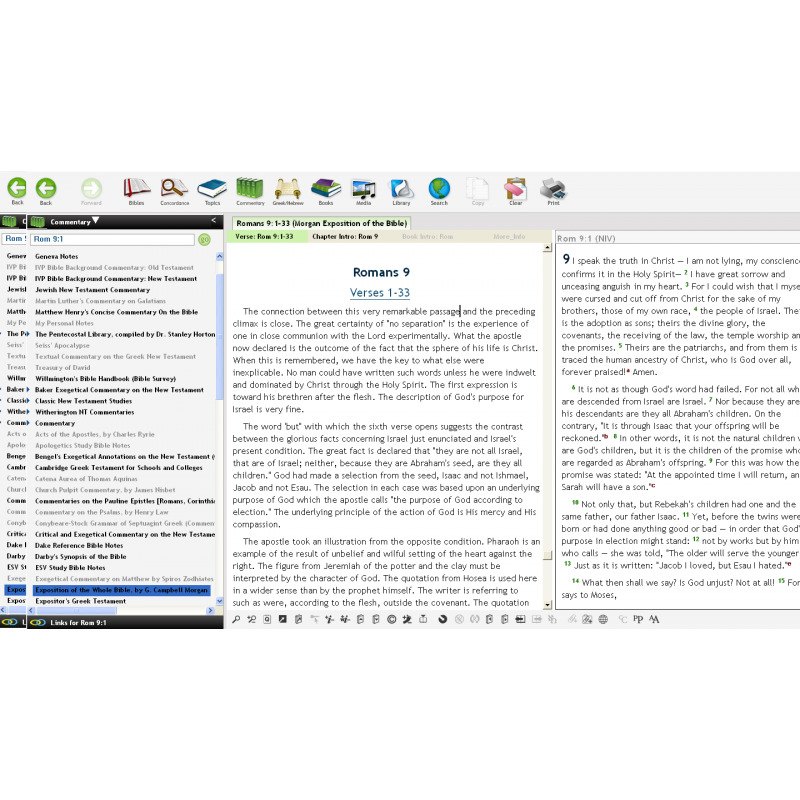 Finally, a great advantage of adding this work to your PC Bible Study library is the way it provides you access to its chapter summaries in the same context as your verse and chapter links from other studies. This gives you a quick method of seeing how G. Campbell Morgan would fit that chapter into the whole Bible story.